I attempted a few different recipes this weekend that did not turn out so well. First, I tried to make up a recipe for avocado pumpkin bread, and it didn't bake through in the centre. Then I tried to use up the rest of the pumpkin with a pumpkin coconut muffin recipe, which was equally bad. Finally, I gave up on trying to create new recipes and decided to follow one from one of my favourite recipe blogs, averiecooks.com. 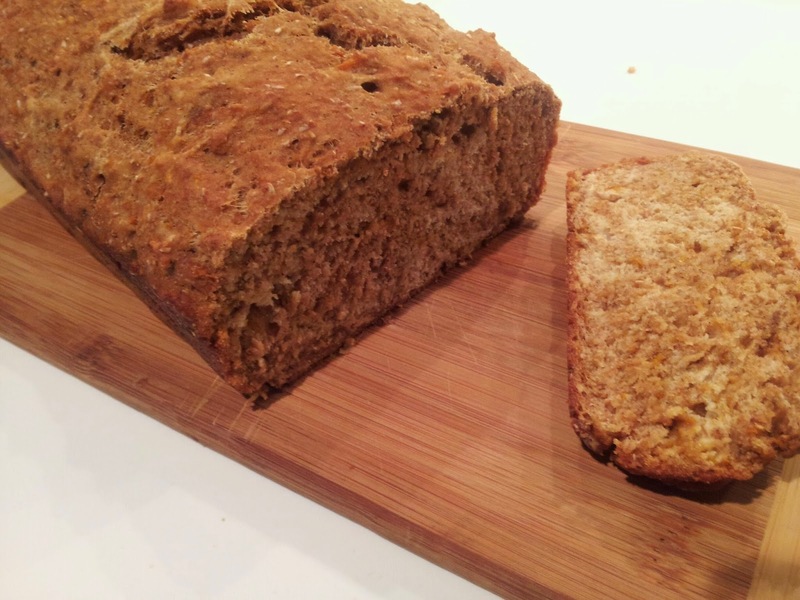 When I happened across the recipe for Sweet Potato Maple Vegan Beer Bread, the timing was perfect, because I had a few bottles of Stella in the fridge. I only had whole wheat flour in the cupboard, so I decided to give it a try. I reduced the amount of flour to 2 cups (when substituting whole wheat flour for all-purpose, use 3/4 cup whole wheat flour for every 1 cup all-purpose). All the other measurements were kept the same as the original recipe. The result was a moist and flavourful loaf that baked perfectly in the recommended 40 minutes. It was so good, I used the first loaf to make French toast on Sunday morning, and then baked a second loaf! I'd like to try this recipe again with Guinness to see how it changes the flavour.